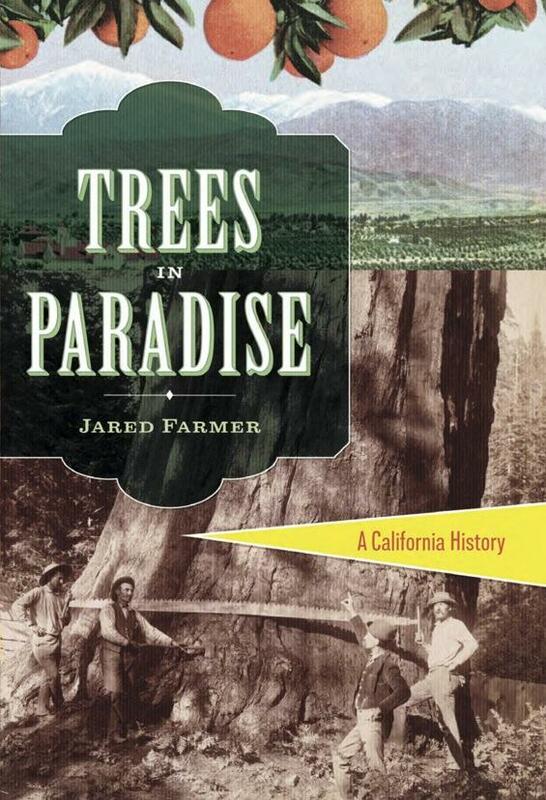 Jared Farmer’s new book is “Trees in Paradise: A California History.” We’ll also talk about Utah history, and Farmer will offer his list of iconic Utah trees as well. California now has more trees than at any time since the late Pleistocene. This green landscape, however, is not the work of nature. It's the work of history. In the years after the Gold Rush, American settlers remade the California landscape, harnessing nature to their vision of the good life. Horticulturists, boosters, and civic reformers began to "improve" the bare, brown countryside, planting millions of trees to create groves, wooded suburbs, and landscaped cities. They imported the blue-green eucalypts whose tangy fragrance was thought to cure malaria. They built the lucrative "Orange Empire" on the sweet juice and thick skin of the Washington navel, an industrial fruit. They lined their streets with graceful palms to announce that they were not in the Midwest anymore. To the north the majestic coastal redwoods inspired awe and invited exploitation. A resource in the state, the durable heartwood of these timeless giants became infrastructure, transformed by the saw teeth of American enterprise. By 1900 timber firms owned the entire redwood forest; by 1950 they had clear-cut almost all of the old-growth trees. In time California's new landscape proved to be no paradise: the eucalypts in the Berkeley hills exploded in fire; the orange groves near Riverside froze on cold nights; Los Angeles's palms harbored rats and dropped heavy fronds on the streets below. Disease, infestation, and development all spelled decline for these non-native evergreens. In the north, however, a new forest of second-growth redwood took root, nurtured by protective laws and sustainable harvesting. Today there are more California redwoods than there were a century ago. “Trees in Paradise” offers a new perspective on the history of the Golden State and the American West. Jared Farmer, a Utah native and former Californian, is the author of "On Zion's Mount" a landscape history awarded the prestigious Parkman Prize for literary excellence. He teaches history at Stony Brook University but has joined the University of Utah as professor for the year.